Amazon Deal: The Pioneer Woman Cooks Kindle Version only $3.99! | ...and another cup of coffee. 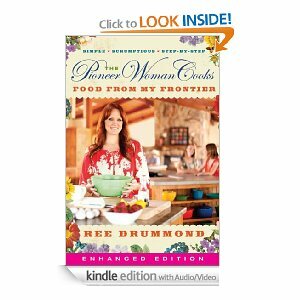 Amazon Deal: The Pioneer Woman Cooks Kindle Version only $3.99! Here is a great deal on the kindle edition of The Pioneer Woman Cooks book. Only $3.99! Whaaaat? yup, you read correctly. I personally own a copy of this book and it is awesome. My husbands favorite recipe, so far in this book, is the Sloppy Jo’s and Little Diva just loves the Vanilla Bean Scones. If you haven’t every heard of The Pioneer Woman she is so funny and her recipes are great and has a show on Food Network. « Pecan Pie Bars…Dangerously Yummy!